"Get those critters gone for good!" Critters Gone Urban, LLC is a family owned and operated pest control business with more than 25 years of experience chasing and catching critters in the Rockford area. We understand how frustrating wildlife nuisances like bats, raccoons and coyotes can be. That’s why we don’t just remove the problem animal(s) and leave you with a temporary fix. Critters Gone Urban, LLC is a full-service pest and wildlife control business and our goal is to solve all your wildlife needs in Roscoe, IL and beyond. Don’t resort to inhumane methods of dealing with your unwanted critters. Our highly trained pest control experts are fully insured and hold Illinois state licenses through the Illinois Department of Natural Resources. We’ll catch your critters no matter what it takes. We’re open 24/7 for any emergency you may have. 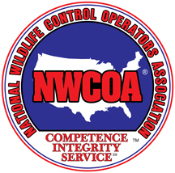 Call us today at 779-774-9577 to speak with one of our experts about your wildlife problem. We’ll be glad to lend a hand! If you need extermination services, please contact Rocky's Pest Control for more information. For bed bug services, please contact Midwest Pest Control for more information. What animals do we catch? Think you have a wildlife problem in the Roscoe, Illinois area? Contact us at any time and we’ll send one of our trapping experts to you. We can diagnose what kind of animal is causing you trouble and take steps toward resolving the problem. Did an animal damage your attic? Critters Gone Urban can restore damage done to your attic by unwanted critters in Roscoe, Rockford, IL, and the surrounding areas. We’ll remove the animal and work with your insurance company to cover the damages. Don’t leave your home exposed with holes or damaged wiring. Contact us today and we’ll get your home back into great condition. Do you have an emergency situation? Please note that emergency services are charged at a higher rate! Copyright © 2019 Critters Gone Urban, LLC, all rights reserved.